DEA is a young and dynamic company that arose from a passion for design and performance. Our passion and confidence in what we do leads us to offer our clients the absolute best in terms of service and professionalism. 16 April 2019 Garage workbenches: better single, double or triple? 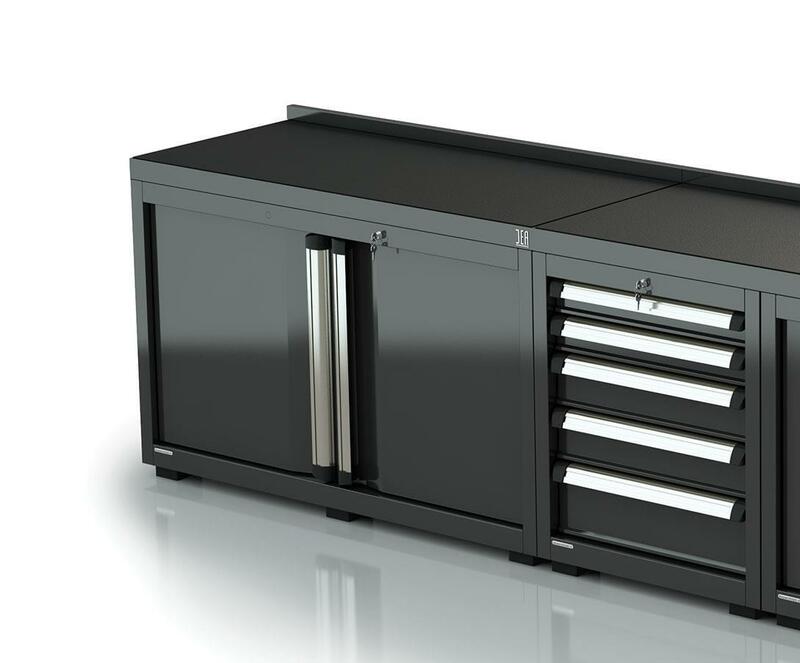 Do you have to choose a new garage workbench for your workshop but don't know where to start? We'll give you some tips, showing you the most popular and available models. The biennial Autopromotec event, the leading Italian automotive expo, is back. DEA Italian Worklab will be attending again this year: you'll find us at stand B10. 26 February 2019 New DEA Worklab 2019 catalogue: get your copy! DEA Worklab gets off to a flying start in 2019: the new catalogue, with new, more elegant, user-friendly graphics and content, chock-full of helpful information, is already available.